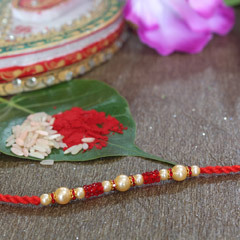 The custom of tying a rakhi around the wrist of a brother is a beautiful one. 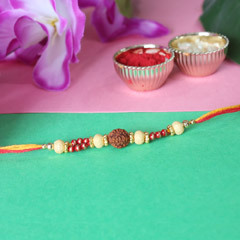 It makes the brother-sister bond strong and powerful. 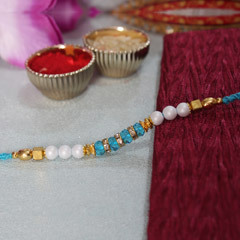 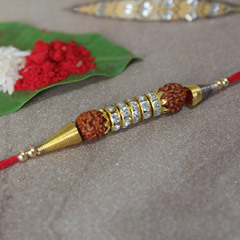 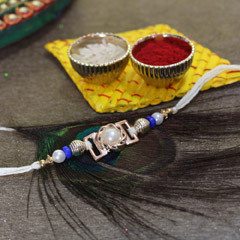 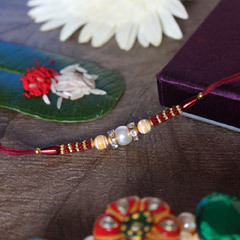 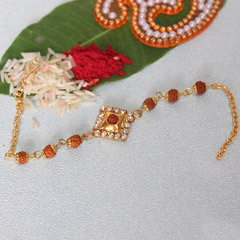 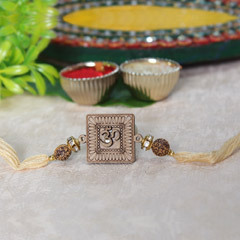 Celebrate the occasion of rakhi with a meticulously crafted ethnic rakhi. 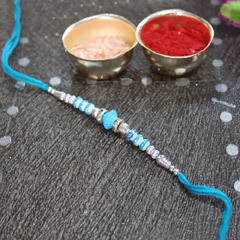 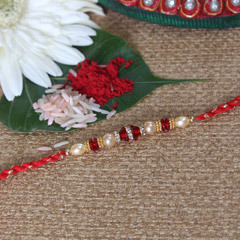 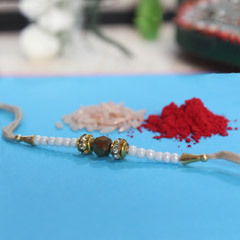 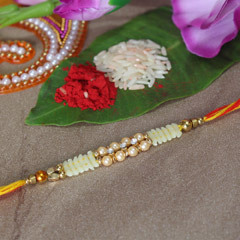 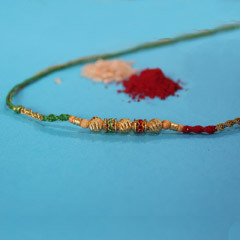 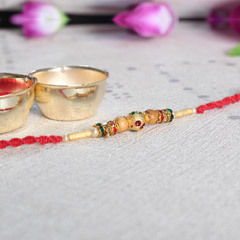 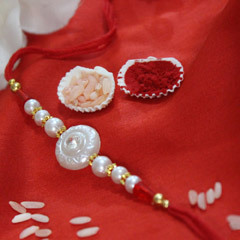 Online shopping for rakhi is a pleasant experience now after the arrival of the e-stores. 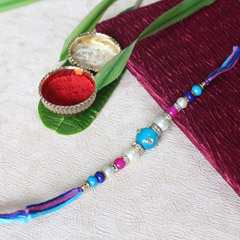 You can avoid the crowd, exhaustion, fatigue associated with shopping in the local markets. 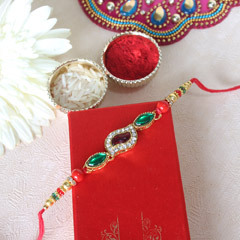 You can buy the gifts and rakhi with just a click from your home. 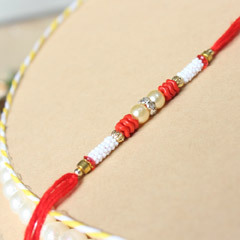 You do not have to step outdoors at all for shopping now. 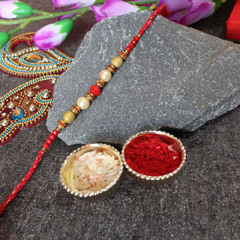 Enjoy the rakhi celebration with an array of delectable Indian sweets available at our online store Sendrakhi.com. 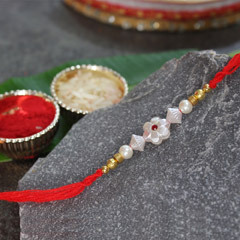 We provide all types of popular Indian sweets for the Raksha Bandhan celebration such as motichhor laddu, gulab jamun, rasgulla, kaju katli, soan papdi etc. 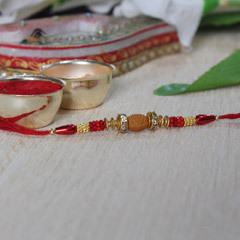 If your brother is away for work at Bangalore and not present with you in Kolkata for the celebration, send him one of our attractive rakhi hampers. 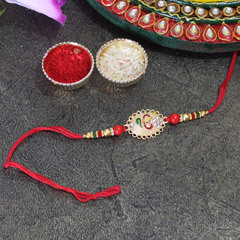 Depending on the preference of your brother you can personalize your own hamper with dry fruits, Indian sweets, chocolates, flowers, cookies etc. 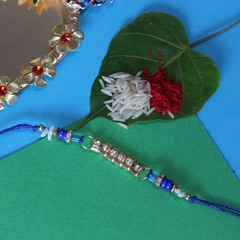 At Sendrakhi.com you can find an array of gift items for sisters as well as brothers. 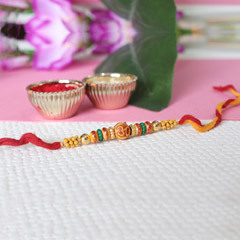 Choose from the phenomenal collection of gifts for your brother that includes fashion accessories, lucky plants, mugs etc. 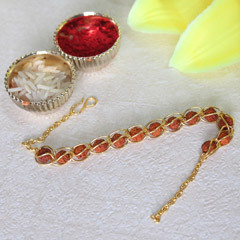 Make use of our free shipping service that is available from time to time. 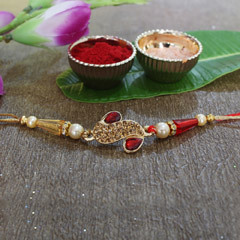 Make the Rakhi festival a memorable one for your brother with a stylishly designed ethnic rakhi and a customized gift hamper available at Sendrakhi.com.